Henry James Pye - Faringdon Community Website. Henry James Pye was an English poet. 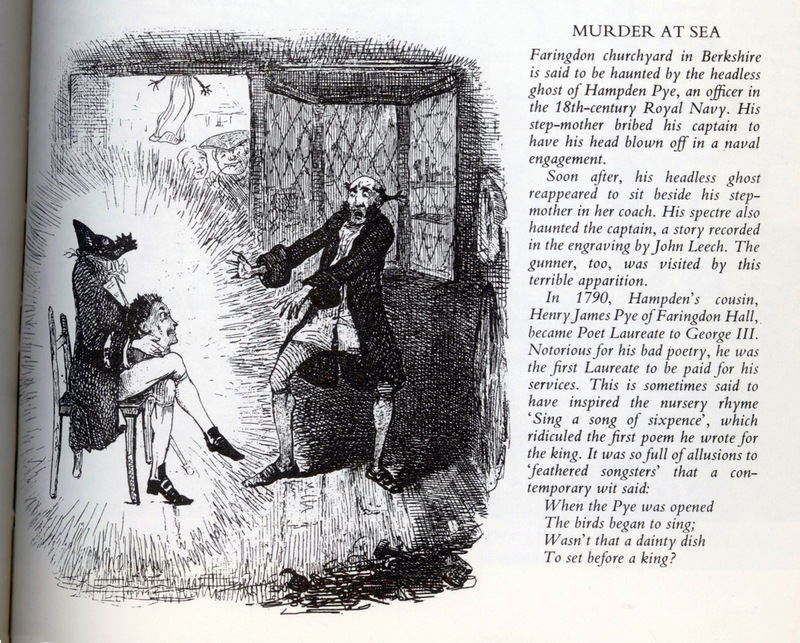 Pye was Poet Laureate from 1790 until his death. He was the first poet laureate to receive a fixed salary of £27 instead of the historic tierce of Canary wine (though it was still a fairly nominal payment; then as now the Poet Laureate had to look to extra sales generated by the prestige of the office to make significant money from the Laureateship). Pye was born in London, the son of Henry Pye of Faringdon House in Berkshire, and his wife, Mary James, and was educated at Magdalen College, Oxford. His father died in 1766, leaving him a legacy of debt amounting to £50,000, and the burning of the family home further increased his difficulties. In 1784 he was elected Member of Parliament for Berkshire. He was obliged to sell the paternal estate, and, retiring from Parliament in 1790, became a police magistrate for Westminster. Although he had no command of language and was destitute of poetic feeling, his ambition was to obtain recognition as a poet, and he published many volumes of verse. Of all he wrote his prose Summary of the Duties of a Justice of the Peace out of Sessions (1808) is most worthy of record. He was made poet laureate in 1790, perhaps as a reward for his faithful support of William Pitt the Younger in the House of Commons. The appointment was looked on as ridiculous, and his birthday odes were a continual source of contempt. He was dubbed 'the worst Poet Laureate in English history'cessor, and Robert Southey wrote in 1814: "I have been rhyming as doggedly and dully as if my name had been Henry James Pye." Pye married twice. He had two daughters by his first wife. He married secondly in 1801 Martha Corbett, by whom he had a son Henry John Pye, who in 1833 inherited the Clifton Hall, Staffordshire estate of a distant cousin and who was High Sheriff of Staffordshire in 1840.